amira_a / CC BY 2.0 The port city of Jaffa, Palestine. There is not much left of Jaffa these days, apart from a few carefully curated restorations from its Biblical glory days. 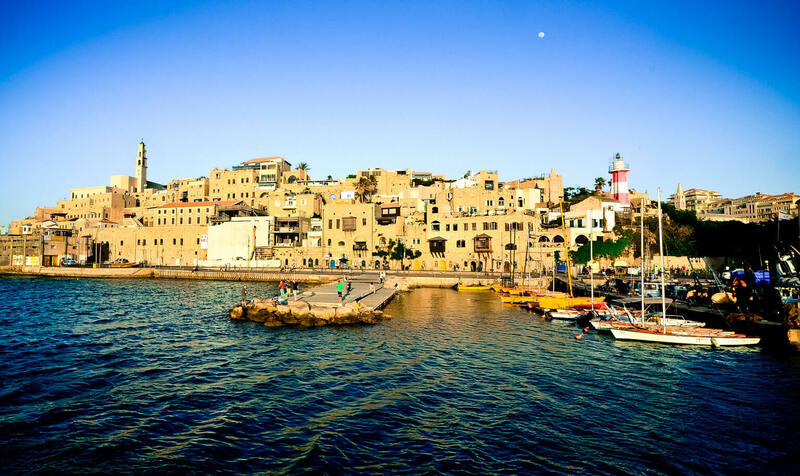 The ancient Palestinian port city was annexed as a suburb of Tel Aviv following the Israel–Palestine partition of 1948. Since then, the city’s Palestinian population (now approximately 18,000) has been fenced off in one area while the rest of the city is slated for demolition. But in the twilight of its demise, from the 1960s to the 1980s, the area’s antiquated charms made it a popular location for the Israeli film industry. Dozens of movies were shot there, most of them comic melodramas known as bourekas, but Jaffa attracted a few American action productions as well. Though many of those films now live on in dusty archives, Palestinian filmmaker Kamal Aljafari has rescued their images for his latest project, Recollection, an eerie rescuscitation of a city that political forces have systematically erased. Aljafari, who has been based in Germany for much of his adult life, is considered by many critics to be one of the most visionary directors from the Middle East. Previous films such as The Roof (2006), about the unfinished house that his family lived in after their resettlement in 1948, and Port of Memory (2009), which follows his family after they receive an order to evacuate their home in Ajami, have garnered him international accolades, fellowships, and awards for his unique stylistic tendencies. His camera moves in unhurried ways, taking viewers on intimate journeys deep within Israel’s borders. But he also shows formalist daring, manipulating and fragmenting images to convey the psychic pain of stories which draw on personal history. Recollection had its Canadian premiere at the Montreal Museum of Fine Arts this week, where the director was on hand. “I was like a tourist in the city,” Aljafari says of the six months he spent watching nearly fifty Israeli films. In a typical moment, Aljafari’s camera will slow down a clip of recovered footage, searching the background for signs of life. He then zooms in on a few blurry Palestinian inhabitants who happen to find their way into scenes. A pixelated boy lurks behind a corner, curious about the movie being filmed in his neighbourhood. A grainy shopkeeper sits on his stoop, paying the film crew no attention. At one point, the project became unexpectedly personal: investigating one of many out-of-focus alleyways, he discovered his uncle. The more he looked, the more faces he found of people from his childhood. His most technically experimental and personal work to date, Recollection is Aljafari’s dreamscape of a long-lost childhood and a dystopian vision of one of the world’s oldest cities, now littered with crumbling cinderblocks and empty garbage-strewn beaches. This is partly why Recollection is such a conflicted work for audiences. For the increasing number of Palestinians who make up his global following—the vast majority of whom will never get to visit their homeland—an elliptical, broken dream is not what they want to see from a filmmaker many regard as an ambassador for their larger cause. As his international reputation grows with each successive film, he finds himself having to defend his penchant for poetic experimentation to people who think his films could be more pointed in their representations. The first Canadian retrospective of Kamal Aljafari’s work is scheduled this November at Montreal’s Cinémathèque Québécoise.